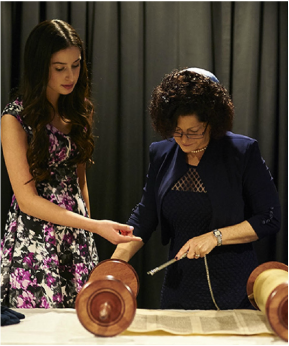 While ritual elements are important and tie us to the past, creating meaningful Jewish experiences is ultimately what makes all of us feel connected to each other and to Judaism. We can work together to create a service that uniquely weaves Jewish elements into a ceremony that is inclusive and memorable. Judith Kaplan Eisenstein earned fame at age twelve in 1922 when she became the first American woman to celebrate a Bat Mitzvah. Kaplan-Eisenstein was the daughter of Rabbi Mordecai Kaplan, the founder of Reconstructionist Judaism. Read More. Check out Ritual Well, a site that focuses on "the power of traditional Jewish ritual, while also being committed to innovation."